The Cleopatra Wired Bracelet is a very flexible bracelet that flows nicely along the wrist. It is beautiful as well as comfortable. 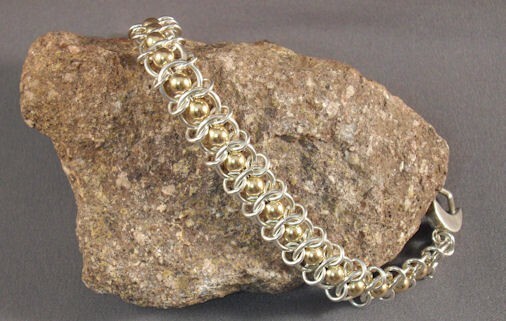 You will utilize beading techniques as well as chain mail techniques in constructing this bracelet. I wear this bracelet on a regular basis and receive many compliments on it. This is a beginner weave. The clasp is not included in the kit.